The Uniden UM380 is a sleek 25-Watt Fixed Mount VHF radio with full DSC capability, a rugged non-slip front microphone, and instant Channel 16/9 keys. From the brand that makes great commercial marine electronics, the Uniden UM380 stands out in their current lineup. Considered a great improvement from the previous Uniden models, the UM380 boasts clear audio and extended range. It has loads of useful and intuitive features that easily makes it our top choice for a VHF fixed mount radio. Worried about signal problems? With UM380 you can reach a wide range of local and international channels. 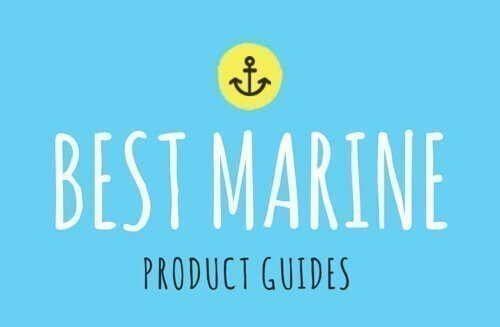 Best for off-shore communications, it has a reliable connection to all Global, US, and Canadian marine channels. Designed for recreational vessels, the Uniden UM380 features a class D equipment grade and its own distress button during times of emergency. Unlike other marine radios that are equipped with a fixed transmission power, the Uniden UM380’s transmission can be changed from 1 to 25 watts. It’s one of the most durable low-cost marine radio available in the market today. The Uniden UM380 is manufactured in Japan where all the materials used are at the highest level of quality and performance. The Uniden UM380 is the best choice if you’re looking for a long-lasting, affordable VHF radio for your boating needs. What makes Uniden UM380 special? Here are some of the best features of this radio. Rugged Non-Slip Front Microphone - The UM380 features a high-tech microphone made from a non-slip rubberized material for easy to grip and use. It also minimizes the mechanical surface vibration allowing clear and smooth voice transmission. DSC capability - allows the user to send radio message to other vessels in order to note their position and communicate with other crafts nearby. This feature also allows users to press a distress button (red emergency button) to call for help during an emergency. NOAA Emergency Weather Alert - gives up-to-date weather information and alerts you to incoming dangerous weather and hazards. Accidents can happen anytime, so make sure you’re always prepared. This channel is available 24 hours a day 7 days a week. Channel Names - Assign new names to all your marine channels for saving and remembering specific channels. Specific Area Message Encoding (S.A.M.E. ) Weather Alert - alerts you of severe conditions in your immediate area. It’s the protocol used to encode the NOAA and EAS in US and Canada. JIS4- Water- Resistance Specification - includes a splash proof radio housing to protect the device from water damage. Don’t confuse water-resistant with waterproof though, the UM380 is not submersible so don’t drop your device overboard! Class D VHF Radio - standard class for recreational boaters. Required capabilities include all-ships call, distress call, individual station call, distress coordinates, distress acknowledgment, geographical area call, etc. Orange Backlit Text Display - Easy-to-see large LCD text display with a backlit design. Great for dark and stormy situations where low light can affect visuals. Triple Watch Feature - Never miss a transmission. With Uniden UM380’s triple watch feature, you can monitor up to three channels at once. This allows you to monitor the weather alert channels while keeping up with marine news from other channels. Despite falling short in waterproof rating and transmission range compared to other VHF radios, the Uniden UM388 features an amazing GPS and DSC capability which ensures your safety wherever you are in the sea under the most extreme weather conditions! It’s a compact, sleek, and convenient marine radio for recreational boaters and fishermen. Our verdict? The UM380 is more than just a radio, it is a life-saving tool every marine vessel should have on-board that can be acquired for a very reasonable price.